Ruislip Rangers in partnership with Middlesex FA and QPR Community Trust are delighted to bring this national initiative to Ruislip. As from Tuesday, May the 16th, after three successful weeks at Whiteheath Junior School, the club is moving to Kings College Playing Fields in Ruislip and is open to all girls aged from 5 to 11. The session will run from 4.30-5.30pm and will also offer a fantastic fun exercise session for mums allowing them to stay active whilst their daughters have fun on the football pitch. The initiative follows the launch of The FA’s Gameplan for Growth, which outlined the target of doubling girls’ participation in the sport by 2020. SSE Wildcats has been launched ahead of the Lionesses heading to the Netherlands for the UEFA Euro 2017 tournament in July. Open sessions from Tuesday 16th May, 4.30-5.30PM at Kings College Fields on the running track. Open to girls aged 5-11. £3 per session. Parents’ exercise class running alongside with a qualified personal trainer, Claire Collins (www.clairecollinsfitness.co.uk) also £3 or £5 for both. Ruislip Rangers is the largest youth football club in Middlesex, fielding 46 teams including 9 girls teams, ranging from Under 9s to Under 16s. 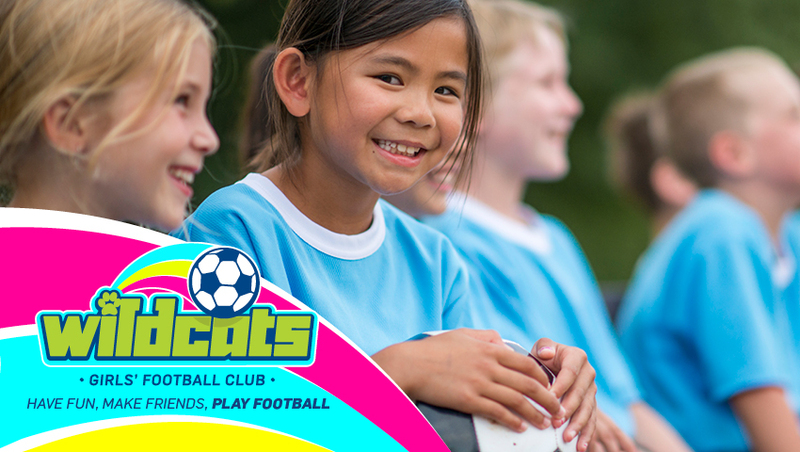 Tony Doherty, Club Chairman added “We have a longstanding commitment to girls football and are delighted to be one of only 4 Wildcats clubs in the county”. Parents of any girls interested in attending the Ruislip Wildcats session should contact Dave Holden on 07956 304966 or girlssection@ruisliprangersyfc.org.uk.